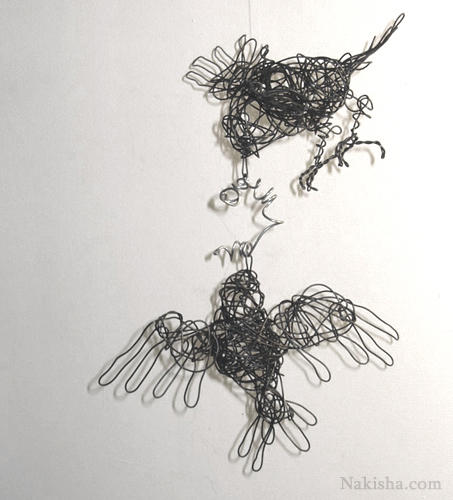 This hanging sculpture has two black birds, each made from annealed stovepipe wire, bent by hand. The spiral worm in their beaks is made from 17 gauge steel wire. It moves gently in the breeze, hanging from nearly invisible fishline. Overall 10.5" high, each bird is around 8" x 5" x 3" high.